Direct the spiritual formation and youth ministry training programs including promotion of the program to on and off campus constituencies and oversee the curriculum. Increased enrollment by > 200% in the first two years. Lead and administer campus ministry programming, including pastoral oversight of a multi-lateral approach which includes the efforts of 20 independent ministries and partnerships and supervision of nine student Chapel Stewards. Utilized budget surplus to lead a chapel technology upgrade which enabled the integrity of the chapel’s liturgical design. Led an organizational change process to revitalize the chapel worship liturgy, resulting in increased program attendance and more robust formative experiences. Created a vibrant collaborative partnership with the Indiana Annual Conference of the United Methodist Church known as the Student Leadership Academy. This event brings high school students into mentoring relationship with Lantz Center students for vocational discernment practices and teaching on Christian vocation. Awarded and directed a $580,000/4 year grant from Lilly Endowment, Inc., to create high school youth theology programming as an expansion of the Student Leadership Academy initiative. Recipient of the 2015 Francis Asbury Award for outstanding leadership and excellence in higher education ministries by the United Methodist General Board of Higher Education and Ministries. In partnership with United Methodist Collegiate Ministries, created a unique video series to be utilized by higher education ministries professionals to train their staff and students in worship planning and execution, highlighting the unique worship offerings of the UIndy chapel ministry experience. Preached biblically on a weekly basis. Served in nearly every aspect of church ministry as a church member including: adult Sunday School teacher, children and youth Sunday School teacher, Jr. High ministry intern, youth group leadership team, College and Career leadership team, and Young Adults Director/Staff Intern for the last two years. Worship leader (2-4 times weekly, six years experience), teacher/preacher (weekly for over two years), and sound technician (six years experience). Started Young Adults ministry with six people. Developed leadership team and led that ministry to about 25 people which included many first-time faith commitments and water baptisms. “Performative Metanarrative and Postmodern Apologetics: A Case Study with St. Augustine.” M.T.S. thesis, Garrett-Evangelical Theological Seminary, 2007. Ann Arbor: Proquest/UMI. Jeremiah Gibbs and Jason Byassee. 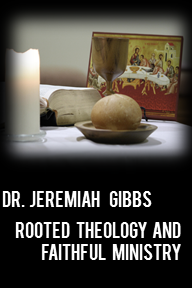 “Explain Yourself: Making Belief Intelligible.” Christian Century, September 23, 2008.
Review article, Keith Warrington, Pentecostal Theology: A Theology of Encounter (Continuum 2008), PNEUMA: The Journal of the Society of Pentecostal Studies 31.2 (2009), 296-7. “Preserving Integrity: Lessons on Interfaith Prayer from the University.” Liturgy 26.3 (2011), 34-41. “Medicine is a Good Thing: Assemblies of God Doctrine as Support and Limit of Medicine.” In Proceedings of the Inaugural Faith and Science Conference, Springfield, 2011, ed. Michael Tenneson. Springfield, MO: Gospel Publishing House, 2012. “Postconservative Apologetic Method: A Constructive Proposal.” PhD Dissertation, Garrett-Evangelical Theological Seminary, 2014. Ann Arbor: Proquest/UMI. “Intercessory Prayer (1600-present)” and “Jabez,” in Encyclopedia of the Bible and Its Reception. Berlin: De Gruyter, 2015. 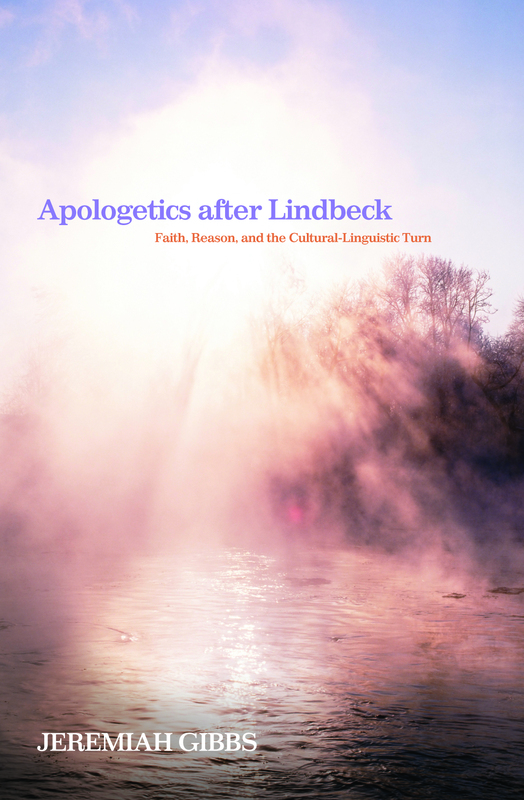 Apologetics after Lindbeck: Faith, Reason, and the Cultural-Linguistic Turn. Pickwick, (2015). “Azusa Street Revival,” “Baptism in the Holy Spirit in Pentecostalism,” “David K. Bernard,” “T.D. Jakes,”and “Pentecostal Assemblies of the World,” in Baker Dictionary of Cults and World Religions. Baker Academic, (forthcoming 2016). Suzanne Burden and Jeremiah Gibbs. Allied: Stories of Men and Women Building God’s Kingdom Together. manuscript in process. “Recovering Orthodoxy: The Rise of the Evangelical Left in Christological Terms.” Paper presented at American Academy of Religion Midwest Regional meeting, River Forest, IL, April 4, 2008. “Treading Thin Ice: The Evangelical Left’s Search for Ethics in Light of the Social Gospel Heritage.” Paper presented at American Academy of Religion Midwest Regional meeting, River Forest, IL, April 4, 2008. “Real Presence? The Assemblies of God at “Play” with Sacramentality.” Paper presented at American Academy of Religion Midwest Regional meeting, Chicago, IL, April 4, 2009. “Beauty and the Being of God: Aesthetics and Apologetic Method.” Paper presented at the annual meeting of the International Society of Christian Apologetics, Deerfield, IL, April 18, 2009. “A Taste for Truth: The Evangelical Theologian, Theological Prolegomena, and the Role of Aesthetics.” Paper presented at Garrett-ETS Student Theological Conference, April 24, 2009. “Spirit Baptism and the Ordo Diaconia: An Ecumenical Apologia for the Pentecostal Doctrine of ‘Subsequence. '” Paper presented at the annual meeting of the Society for Pentecostal Studies, March 4-6, 2010. “The Possibilities of Measurable Spiritual and Vocational Formation Assessment: Enabling Individual Growth and Institutional Transparency.” Paper presented at the inaugural conference of the Network for Vocation in Undergraduate Education, March 10-12, 2011.